In April, Rhode Island PBS is proud to present two documentaries by award-winning Rhode Island filmmaker Tim Gray: A Company of Heroes on April 22 at 10 p.m., and Maggie's War: A True Story of Courage on April 29 at 10 p.m.
A Company of Heroes - Easy Company, the 2nd Battalion of the 506th Parachute Infantry Regiment of the 101st Airborne Division, widely known as the "Screaming Eagles," remains one of the most revered combat units in U.S. military history. The Army company's legendary exploits in World War II inspired Stephen Ambrose's book, Band of Brothers,and the Emmy®-winning HBO miniseries of the same name. Following two years of hard training, the soldiers of Easy Company parachuted into Normandy on D-Day and, later, into Holland for Operation Market Garden. They fought their way through Belgium, France and Germany, survived overwhelming odds, liberated concentration camps, and drank a victory toast in April 1945 at Hitler's hideout in the Alps. 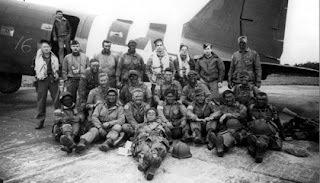 In 2009, 20 of the few remaining survivors from Easy Company shared their rarely told stories of sacrifice and courage for Marcus Brotherton's oral-history book project, We Who Are Alive and Remain: Untold Stories From the Band of Brothers. In A Company of Heroes, those same veterans — along with the families of three deceased others — recount the horrors and the victories, the bonds they made, the tears and blood they shed, and the friends they lost. 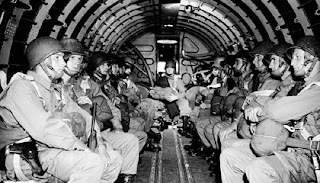 Maggie's War: A True Story of Courage - James Megellas, affectionately known as "Maggie," led H-Company of the 504th Parachute Infantry Regiment through some of the most horrific battles and deadliest missions of World War II, including the Battle of Anzio, Operation Market Garden and the Battle of the Bulge. Maggie's War chronicles the evolution of a citizen into a fearless platoon leader, and the transformation of a young man into the most highly decorated officer in the history of the famed 82nd Airborne Division. Seven decades later, cameras follow Megellas, now a retired Lieutenant Colonel, on an emotional return to Europe with a small group of family, friends and 82nd Airborne veterans. Together they visit old battlefields and war memorials and encounter Dutch citizens still grateful for their sacrifice. Call the Midwife, written by Heidi Thomas and based on the best-selling memoirs of the late Jennifer Worth, returns for a second season. Nonnatus House opens its doors to warmly welcome the audience back into 1950s East End London and continues to follow Poplar’s community of exceptional midwives and nursing nuns. Season 2 stays true to the show's roots - viewers can expect to see more births, babies and bicycling, plus blossoming romance from an unexpected quarter. 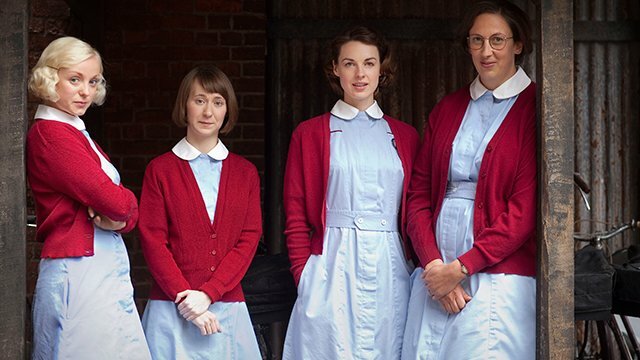 Call the Midwife returns with an encore of the 90-minute Christmas special on April 2 at 9:30 p.m. Season 2 episodes will air on Tuesdays at 10 p.m., starting April 9, with rebroadcast on Wednesday afternoons at 2. Season 2, Episode 1 - It’s 1958. Returning from a long day of duties, Nurse Jenny Lee finds the Nonnatus House community gathered to wish her a happy birthday, before she, Chummy, Trixie and Cynthia head off to the cinema - a joyous celebration. However, the Jenny's good cheer is short-lived when the next day she’s assigned a new patient, Molly Brignall. Molly’s due date is imminent and Jenny worries about the harm that could come toMolly and her children. Meanwhile, Trixie and Sister Evangelina find themselves aboard a Swedish cargo ship looking after the captain’s daughter, who is about to have her first baby. At the unfashionable end of Oxford Street in 1909 London, an American retail tycoon arrives to jettison fusty British tradition and open the biggest and finest department store the world has ever seen: Selfridges. Three-time Emmy® winner Jeremy Piven (in his first television appearance since his iconic role as Hollywood agent Ari Gold in Entourage) stars as Harry Gordon Selfridge, the flamboyant entrepreneur and showman seeking to provide London's shoppers with the ultimate merchandise and the ultimate thrill. Emmy® Award-winning writer Andrew Davies (Pride and Prejudice, Bleak House) conjures the opulence and excitement of Selfridges and the story of its founder, a man of exuberant, outsized, and potentially dangerous, appetite. Behind Selfridges' lavish shop windows, gleaming counters, and majestic doors, appetite intersects with ambition and desire not just for Harry, but for his staff, his family, and the various women drawn to the store and the man. Zoe Tapper (Stage Beauty) is showgirl and temptress Ellen Love; Frances O’Connor (Madame Bovary) as is Harry's loyal wife, Rose; Grégory Fitoussi (Spiral) is the mercurial window designer extraordinaire, Henri LeClair; and Aisling Loftus (Case Histories) is the spunky shop girl Agnes Towler. Mr. Selfridge airs on Masterpiece Fridays, April 12 through May 31, 2013 at 9 p.m., with each episode repeated the following Monday at 1 p.m., on Rhode Island PBS. Episode 1: Upstart American Harry Selfridge moves heaven and earth to build his visionary department store in London. But opening day is just the start of his retail revolution. Episode 2: Selfridge skirts scandal by putting cosmetics at the front of the store. Meanwhile, his private life gets complicated as Ellen Love, Lady Mae, and his wife, Rose, make waves. Episode 3: Ellen’s future as the Spirit of Selfridge's is on the line. Renowned ballerina Anna Pavlova causes a sensation at the store. And Rose makes a revelation to her doting portrait painter, Roddy. Episode 4: Spunky shop girl Agnes Towler returns to work. But all is not well, as Harry and Rose face a moment of truth, Ellen confronts Harry, and alcohol, pills, and driving under the influence take their toll. Episode 5: Mr. Grove takes over in Harry’s absence, but faces irate temperance marchers and other challenges. How would Harry handle it? Agnes gets to know Henri, the window dresser. Episode 6: Two dead relatives show up at a store séance prompted by Sherlock Holmes creator Arthur Conan Doyle. Agnes gets moved to fashion and develops a closer relationship to Henri. Episode 7: F. W. Woolworth tries to undercut his old friend and competitor, Harry, who gives the discount king a run for his money. The temperature rises with Agnes and Henri. Episode 8: Tragedy strikes on the day polar explorer Sir Ernest Shackleton comes to the store. An even greater celebrity plans a visit, and Harry and Rose attend a shocking play. Water is a central element of life, yet one in eight people worldwide — 1.2 billion — lack access to safe drinking water. In the coming years, the water scarcity in some drought-stricken regions will turn into a global crisis. Hosted by actor-producer Adrian Grenier (HBO's Entourage), Water Pressures sheds light on this critical, complex issue by documenting the partnership between villagers in water-distressed Rajasthan, India and students and faculty at Northwestern University, situated on the shores of Lake Michigan. Students in a Northwestern environmental policy class see a model of conservation and community cooperation firsthand on a 10-day trip to India, where a leading nonprofit organizations illustrates the power of pairing traditional wisdom with simple teamwork to solve the water crisis in the Thar Desert. They also meet with political leaders, corporate executives and water experts to create their own local partnerships and try to make a difference in their own communities. From the gushing geysers of Giant, to the plutonium-powered time machine of Back to the Future, Hollywood has entertained us with unforgettable, often iconic images of energy. Whether intentional or not, films frequently serve as a snapshot of society, capturing sentiments of each time period. Many films have themes that memorialize collective optimism, fears, and observations about energy. Using film clips as a historical road map, Energy At The Movies is an entertaining lecture that enlightens audiences about the ways films influence how we think about energy, and in turn, how we influence energy policy. Right now, in our back yards, a new generation of farmers are redefining agriculture in America. Small, modern, sustainable and rooted in the community, these local farms are in the forefront of a movement growing across the nation. A family-owned and operated farm produces award-winning goat milk cheeses; a farm powered solely by horses provides members with a full diet year-round; and two youthful entrepreneurs run an organic vegetable farm. Small Farm Rising invites you to explore the sustainable practices, creative business models and deep connections to the communities of these three small farms in the shadow of the Adirondack Mountains. Experience one full growing season through the eyes of first-generation farmers as they enrich and enliven their rural environments. From the polar ice caps, to the tropics, David Attenborough reveals how our actions are pushing the world's oceans ever closer to the brink of destruction. The Census of Marine Life is the most comprehensive inventory of the oceans ever undertaken and draws on the work of 2,000 scientists from 90 countries. It will transform how we see the ocean, giving us a better picture of what lives there, our impact and what the future holds. In this film, Horizon reveals the techniques, meets the scientists and explores some of the findings from this massive project. The Lost Bird Project is a documentary about the stories of five birds driven to extinction in modern times and sculptor Todd McGrain’s project to memorialize them. The film follows the road-trip that McGrain and his brother-in-law, Andy, take as they search for the locations where the birds were last seen in the wild and negotiate for permission to install McGrain’s large bronze sculptures there. Travelling all the way from the tropical swamps of Florida to Martha’s Vineyard to the rocky coasts of Newfoundland over a period of two years, they scout locations, talk to park rangers, speak at town meetings and battle bureaucracy in their effort to gather support for the project. The film is directed by Deborah Dickson, whose previous films have been nominated three times for Oscars, and is produced by Muffie Meyer, whose previous directing credits include the original Grey Gardens documentary and several Emmy award-winning documentaries. Green Fire was produced in partnership between the Aldo Leopold Foundation, the Center for Humans and Nature, and the US Forest Service. The film provocatively examines Leopold’s thinking, renewing his idea of a land ethic for a population facing 21st century ecological challenges. Leopold's biographer, conservation biologist Dr. Curt Meine, serves as the film's on-screen guide. Farming the Future: Farm Life on Long Island weaves a tapestry of interviews, historical photographs and contemporary footage to tell the story of farm life in America's oldest suburban region. Just a stone's throw from New York City, Long Island is home to a once-predominant way of life that is vanishing in the shadows of strip malls and suburbia. In 1950, there were almost 3,000 farms on Long Island. Just over fifty years later, there are just over 700. As the oldest mature suburban community in the United States, Long Island has experienced the pressures of development since the 1950's, yet, in the face of growing challenges, Long Island farms are the most productive in New York State, adding $150 million annually to the economy. Directed by Emmy® Award-Winning Filmmaker Ron Rudaitis, narrated by actor and Long Island native William Baldwin (Backdraft, The Squid and the Whale) and featuring music legend and Farm Aid President Willie Nelson, Farming the Future: Farm Life on Long Island examines the challenges of farming in suburbia, and celebrates the way of life, work ethic, and value system of the family farmer that has endured on Long Island for over three centuries. The documentary highlights challenges that prevent farmers from passing on their traditions to the next generation, and explores solutions that can help farmers remain on the land that has sustained them for generations. Every frame in this beautiful video promoting An Evening Uncorked! is actual footage taken during last year's event - no stock video here! You can see how artistic - and indulgent - this event really is. Join us at the Pawtucket Armory on April 27, 2013, for An Evening Uncorked! Gourmet foods prepared by chefs from some of Southern New England's best restaurants, paired with fine wines from around the world presented by some of the best vintners. Silent and live auctions feature classic and cult wines, unique dining and travel experiences, and much more. Tickets are limited. Fact: Last year's event sold out. Proceeds benefit WSBE Rhode Island PBS; so, while you are experiencing this succulent feast of the senses, you are also supporting the bounty of local public television content you love. Now doesn't that feel just wonderful? Here is our earlier blog describing the event. 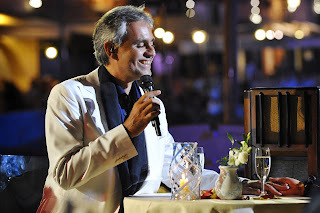 Andrea Bocelli, the international superstar tenor returns to Great Performances once again to delight fans with Andrea Bocelli: Love in Portofino, a new concert special in which he puts classical music aside for an evening of international favorites inspired by the breathtaking coastal setting of Portofino, Italy. 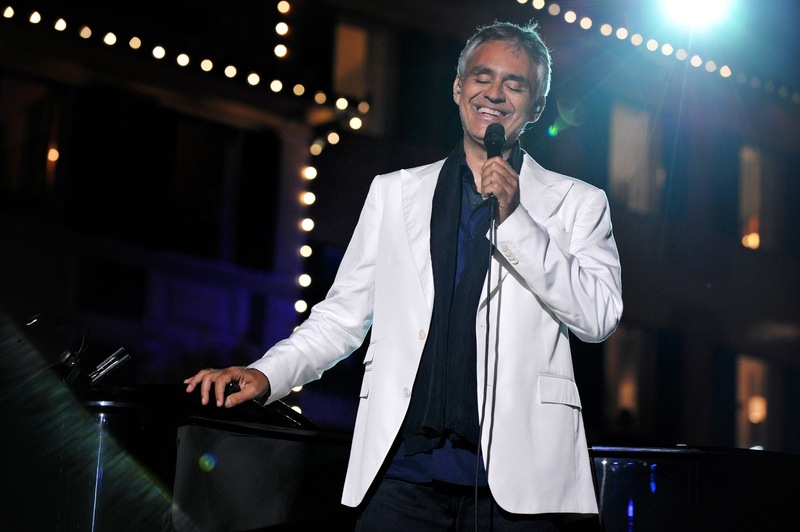 Rhode Island PBS presents this concert special on Sunday, March 17 at 7:30 p.m. and Wednesday, March 20 at 9 p.m.
Andrea Bocelli: Love in Portofino includes several beloved classics such as “Love Me Tender,” “Il Nostro Incontro” (the theme from Cinema Paradiso), “Sara Settembre,” (better known to English-speaking audiences as Neil Diamond’s “September Morn,” and translated into Italian by Bocelli himself), and “La mia via” (“My Way”), with the composer sitting harborside. 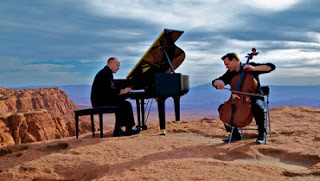 By popular demand, Rhode Island PBS will encore The Piano Guys Live at Red Butte Garden on Saturday, March 16 at 4:30 p.m. The concert special includes exclusive footage of the September 19, 2012 concert performed by the YouTube sensation to a sold-out crowd at the Red Butte Garden outdoor concert venue. While The Piano Guys produce beautiful music, they are best known for their interpretations of well-known favorites. For a mash-up of “Somewhere Over the Rainbow” and “Simple Gifts,” the American Heritage Lyceum Philharmonic and One Voice Children’s Choir accompanies the band. When performing Beethoven’s “Five Secrets,” groups of Philharmonic musicians planted in the audience stand up one by one to join in, playing their own instruments in an orchestral flash mob. Also on the program are The Piano Guys' versions of Adele’s “Rolling in the Deep,” One Direction’s “What Makes You Beautiful,” Dave Guetta’s “Without You,” Christina Perri’s “Thousand Years” and “Bring Him Home” from Les Misérables. The concert special incorporates some of the duo’s YouTube videos such as “Cello Wars,” cellist Steven Sharp Nelson’s take on the Star Wars theme. The Piano Guys, newly signed to Sony Masterworks, are five Utahns: Jon Schmidt, the Piano Guy; Steven Sharp Nelson, the Cello Guy; Al Van Der Beek, the Music and Studio Guy; Paul Anderson, the Producer and Videographer Guy; and Tel Stewart, the Videographer and Editor Guy. Curiously, the men came together over an advertising ploy for Anderson’s Piano Guys music store in St. George. Originally formed as an alternative means of promotion, Anderson’s store began producing the epic YouTube videos that characterize ThePianoGuys, and in the process, stumbled upon a musical sensation. ThePianoGuy's elaborate YouTube videos, showcasing stunning Utah locales, have received more than 160 million views. They grow 3,000 to 5,000 new YouTube subscribers a day and their channel gets 500,000 to I million views a day. Over the last half-century, America has seen one of the most sweeping social revolutions in its history, as women have asserted their rights to a full and fair share of political power, economic opportunity, and personal autonomy. It’s a revolution that has unfolded in public and private, on grand stages like the Supreme Court and Congress, and in humbler ones like the boardroom and the bedroom. No individual and no aspect of American life has been unchanged. MAKERS: Women Who Make America will tell this remarkable story for the first time in a comprehensive and innovative documentary Rhode Island PBS will air on March 21 starting at 8 p.m. Built on the extraordinary archive of stories already completed for MAKERS.com, the film features the stories of those who led the fight, those who opposed it, and the unintentional trailblazers -- famous and unknown – who carried change to every corner of society. Taking its cue from the motto of the movement – “the personal is political” – MAKERS delves deeply into the personal lives of its subjects. The film is not a top-down narrative of events over people. It is built, bottom-up, from the first-person, intimate accounts of women who were there, including movement leaders like Gloria Steinem and Naomi Wolf; opponents like Phyllis Schlafly and Beverly LaHaye; famous faces like Oprah Winfrey, Katie Couric and Hillary Clinton; and the many “ordinary” women confronted with what equality meant in their own lives. Through the perspectives of those who lived through it, MAKERS recounts the seminal events of the organized women’s movement from the publication of The Feminine Mystique in 1963 to the Anita Hill vs. Clarence Thomas hearings in 1991. But it also goes much further, telling the surprising and unknown stories of women who broke down barriers in their own chosen fields, from the coal mines of West Virginia to the boardrooms of Madison Avenue. And it takes the story to today, when a new generation is both defending and confronting the reality of their mother’s legacy. Throughout, the film captures with great period music, humor, and playful graphics the dizzying joy, aching frustration and ultimate triumph of a movement that turned America upside-down. MAKERS.com is a dynamic digital platform produced by filmmakers Dyllan McGee, Betsy West, and Peter Kunhardt, developed by AOL, showcasing hundreds of compelling stories from women of today and tomorrow. 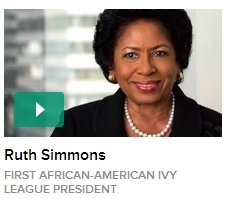 This historic video initiative features exclusive access to trailblazing women - both known and unknown. 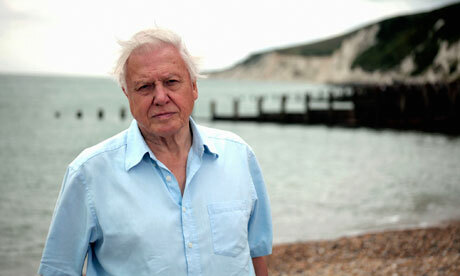 For a collection of individual videos, click here.